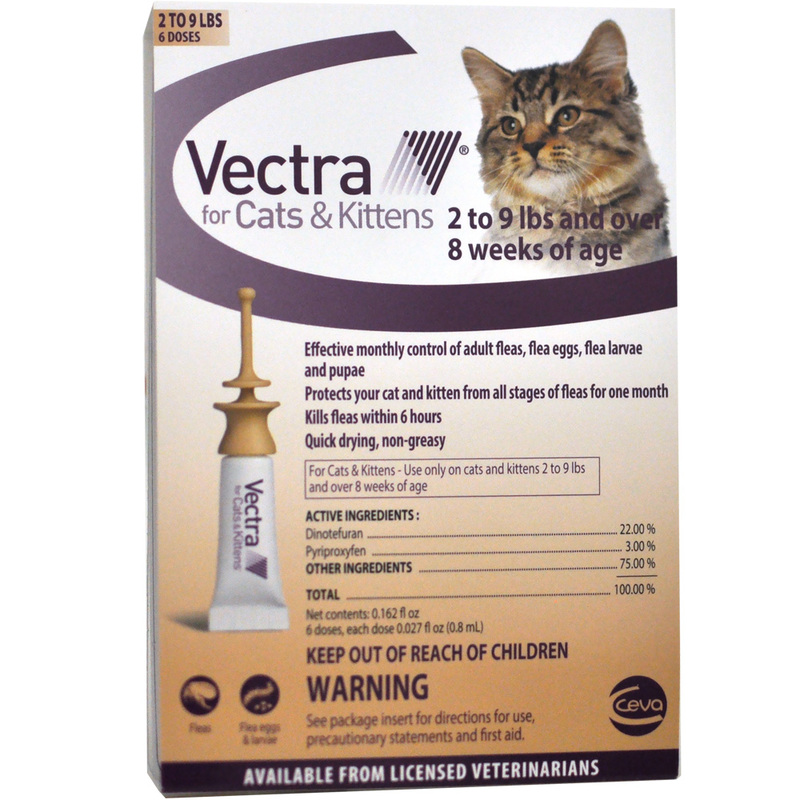 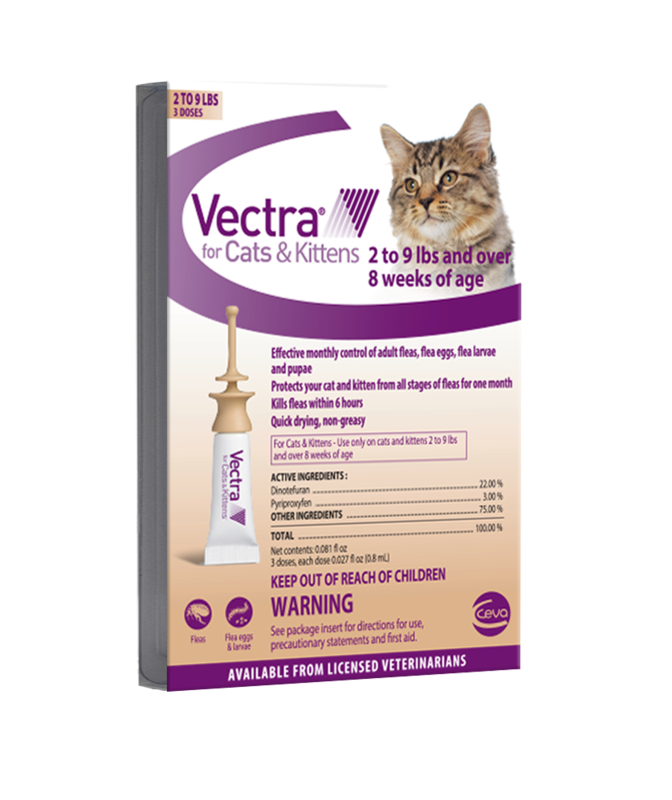 Vectra for Cats is a monthly topical that effectively controls adult fleas, flea eggs, flea larvae that may cause allergy dermatitis and anemia, or transmit disease. 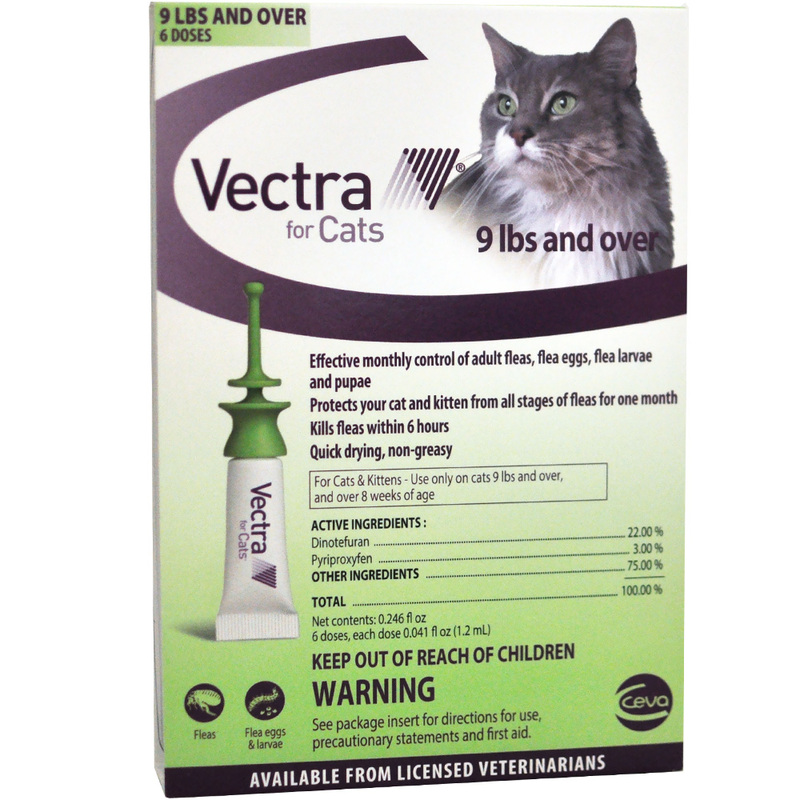 Vectra kills fleas within 6 hours of application. 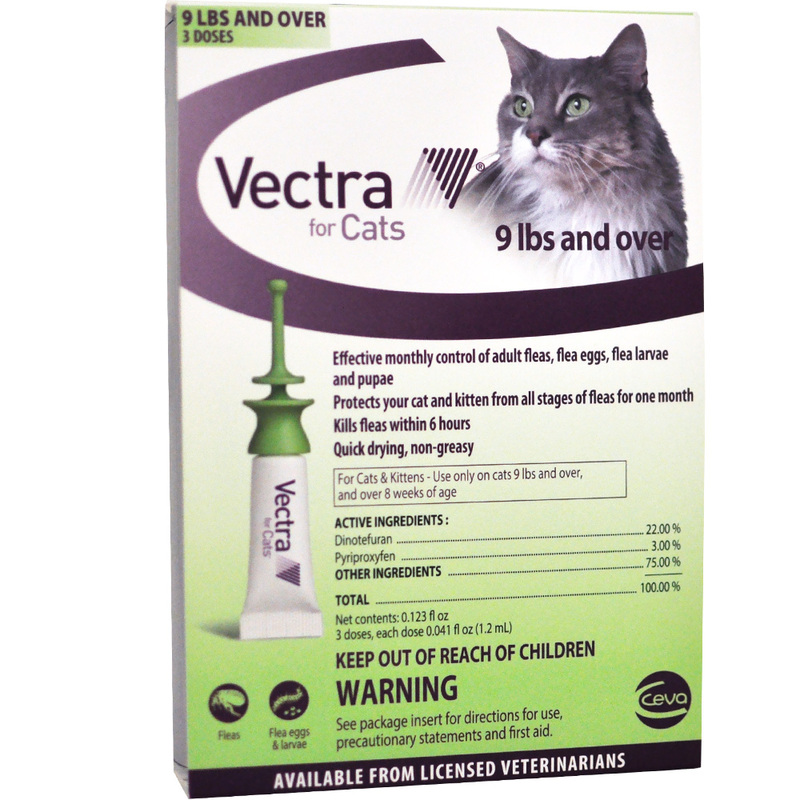 Quick drying & non-greasy; patented applicator tip makes it easy to apply to your cat.